In 1972, the U.S. Navy issued a request for the proposals of the next generation V/STOL close-support fighter on alternate the McDonnell-Douglas AV-8A. It was requested with supersonic speed capability, and enables to operate from small ships. 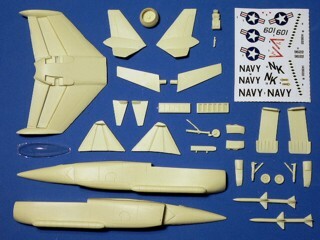 Rockwell International responded with the "thrust-augmented wing" design. 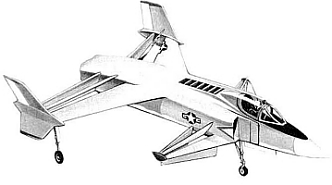 This concept led to Navy’s interest and was fully funded for the development with one mockup and one prototype, designated XFV-12A. It was used a modified 30,000lb thrust engine to run ducted air from engine sides to the tilting ejector flap in the canard and main wings. The flap could rotate in pointing vertical for take off / landing. The first hover-rig test was taken in 1978 but the result of the vertical flight mode was not successful as the exhaust thrust was less than expected. 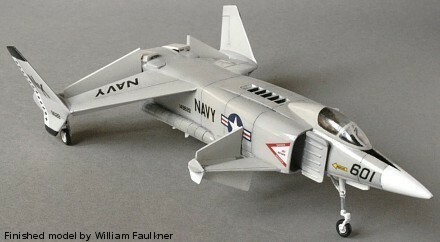 Due to the cost over-run, and no improvement was found for the years, Navy decided to cancel the project in 1981. The Rockwell International XFV-12A is suitable to group with the following collection series.